Lucky Moon Gardens is a Health Farm. We serve the community with veggies, berries, and medicinal herbs, as well as Health Education services. 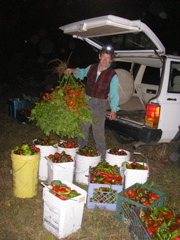 Lucky Moon Gardens is well known for their medicinal grade vegetables, berries, meats and eggs. Offering a power shake with a sophisticated array of rejuvenating minerals, amino acids and 12 kinds of berries. Our farm products are brought to area markets and served to our farm tour guests. We keep Bees for honey and pollination and grow plants for their health too. Nutrient rich sprays are made from our farm grown worm castings and Agni Hotra. Interns learn to use farm systems of irrigation, pest and weed control as well as the ancient art of hoeing. 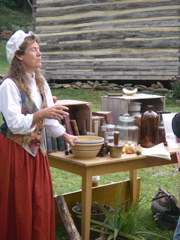 Ann Mooney is an herbalist, acupuncturist and farmer. She is busy year ’round with hoop houses, propagation, prunings, picking attending local farmer’s markets and of course feasting. She maintains production and “display” gardens. 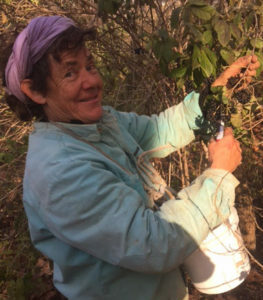 Her farm is constantly evolving and improving irrigation systems, composting and mulching techniques as well as adding new exotic species for production. Tell Us How Can We Serve YOU?